Pimples, acne, scars, spots, facial blemishes are common nowadays. Acne is caused by a hormone called testosterone. This causes thickening of the skin with an increase of production of the oil in glands that cannot get out of the thicker skin. That is called a white head. If the oil oxidizes you get a black head and if you get bacteria in the oil you get an infected acne pimple. There are many who suffer also with small pimples and acnes on back and shoulder area and also blackheads on legs which leave ugly marks on your legs. For this, try to get a sea sponge loofah thing on a stick…. something to scrub your back and legs, good and exfoliate the skin. It is observed, if you have long hair sometimes the oils from your hair will give you neck and back pimples. And yes, don’t forget to apply a good moisturizer on that area after bath. Exfoliate the skin of your shoulders with a shower mitt while you shower. Don’t rub so hard your skin turns red, and don’t use the shower mitt on other parts of your body. Your shoulder acne will clear up faster if you avoid anything that causes irritation to your skin, such as alcohol-based skin rubs, capsaicin creams for muscle pain, cologne, and clothes treated with fabric softener or dried in a drier with static control sheets. The scars and marks look unsightly on the face and is a constant source of worry to those agonized by them. But here are some home remedies to treat acne and liker skin problems, which will help your facial skin get back to its original flawless beauty. Directions – Use a generous amount on finger tips and rub/massage into scars in circular motions making sure to apply evenly and around the surrounding areas. Rub fresh aloe vera gel twice a day on the brown spots for at least a month or two. Aloe vera is the miracle herb for getting a glowing skin along with other health benefits. 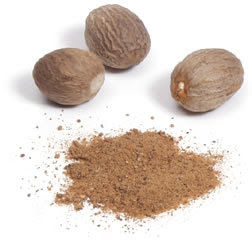 Rub nutmeg on a hard surface with a little milk till a paste is formed. Apply this on black and dark spots and areas of the face and skin and also on the pimple and acne marks. Do this daily once and leave it for 15 minutes and then wash off. It removes the spots and marks. Sandalwood is considered as a soothing ingredient which not only freshens the skin but also prevents pimples from coming again. Apply sandalwood powder on the pimple and leave it for 2-3 hours. Rinse off with cold water and let the skin dry. Also you can apply rose water on the face to cleanse the pores and keep the skin fresh. You can also mix rose water with sandalwood powder and apply on the pimple to reduce it. Mix sandalwood powder with multani mitti (fuller’s earth) and rose water. Apply this acne face pack and leave for 10-15 minutes. Rinse off with cold water. This is one of the natural remedies to get rid of pimples overnight or in 2-3 days. Mix equal quantities of holy basil juice and lemon juice. Apply on the marks left by the pimples, dark patches, marks, black spots. Wash after 15 minutes. Apply daily and you will find them vanishing. Dried leaves of Holy Basil can also be powdered and applied after mixing in butter, which help help clearing the skin with fast results. For those who would like to have an overnight relief, simply mix margosa powder, holy basil powder, and honey in equal proportions and apply the mixture on the affected part and leave on the skin overnight. Oranges, lemons and Limes are very much effective when it comes to removing dark spots. These fruits are rich of Vitamin C- a natural type of bleaching agent. You can apply the juice of lemon over spot and it will clean your skin and will remove spot without any negative effects. Grind fresh peels of oranges and lemons. Mix and apply on the scars and marks. Leave for 15 minutes and wash off with lukewarm water. Mash the pulp of a very ripe papaya. Apply it to the face and massage for a few minutes. Leave it on for 15 minutes or till it starts to dry. Wash face with water and pat it dry with a towel. Then apply coconut or sesame oil. Continue for 1-2 weeks. It clears acne,spots,marks,pimples, darkness of the skin and leaves the skin soft and glowing. Grind 1 seed of dates and some cumin seeds. Add some vinegar and mix it well. Apply on the scars daily. Also you can apply a mixture of cinnamon powder and honey. Just like in the previously mentioned mixtures, just apply the paste on the dark spot. Rub some lemon juice on the skin or the affected area just before going to bed. Wash it in the morning with warm water. The citric acid in the lemon kills the bacteria and clears the skin. Garlic has antibacterial properties. Mash 1 clove to a pulp. apply on the affected area and rub a little. Leave it on for some minutes. Repeat everyday. Neem leaves can be crushed and ground to take out their juice. This can be applied on the affected area. As is known neem has antibacterial and antifungal action. This helps in clearing the acne and the blemishes. Applying a thin layer of honey on the area regularly helps in eliminating the marks. You can also try mixing honey and lemon. This aromatic mixture is known for whitening dark skin spots. Simply apply the paste on the affected area.Honey is an antibacterial. But those with an oily skin should avoid applying honey in summers. To get rid of spots you can use either buttermilk or sour milk. Both of them contains lactic acid which do not create any irritation on your skin after applying but helps to improve your skin texture by lightening it up. Washing the face with buttermilk removes tan, pimple marks blemishes and reduces oiliness of the skin. Eat vitamin -E rich foods and fruits, for a healthy skin. Most important….drink plenty of water every day, sure way for a flawless skin!! 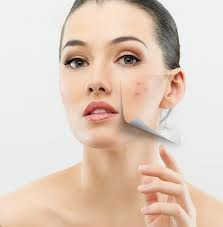 Acne spots and marks will fade away in time…have patience and follow the remedies!! Warm this up till the temperature achieves one hundred degrees Celsius and buy multani mitti online after that enter around two percent of more full's earth into the Crude Palm oil.